Shanghai Qianshan Piping Technology Co., Ltd. is the leading designer and manufacturer of piping prefabrication production line, piping welding work station, pipe automatic welding work station, pipe bevel machines, piping automatic Welding Machines, pipe frame cutting and beveling machines, pipe band saw machines and other kinds of pipe processing machines. Shanghai Qianshan Piping Technology Co., Ltd. also produces heavy-duty piping prefabrication production line, provides custom machinery design and manufacturing, on-site machining and welding services. We manufacture our machines to the highest tolerances to ensure that our equipment will perform under virtually all conditions. Most importantly, we're listening to the industry and ready to respond with new grades, unique properties, innovative supply programs, long term partnership agreements and whatever it takes to earn your business. Our goal is to continuously raise the pipe cutting and beveling machine industry's standard of quality by creating excellent products and providing superior service. This company was founded on the principle that we would provide the best quality precision machine for pipes. Satisfied customers throughout the world attest to the accomplishment of that goal. Shanghai Qianshan Piping Technology Co., Ltd. looks to the future with a commitment to design innovation and quality products, supported by an outstanding level of customer service. SQPT piping prefabrication production line and manufacturing pipe processing machines for construction, nuclear, chemical, and shipping. You can depend on our products for superior, reliable results in all of your pipes cutting applications. Whether your needs are for equipment, special application engineering, custom equipment design and manufacturing, on-site machining services, or equipment, our friendly, experienced staff is ready to assist you. 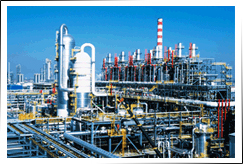 We have provided technical solutions and product development support for new and existing products across this whole industry spectrum, such as: Petroleum Industry-Piping Prefabrication, Petrochemical Industry-Piping Prefabrication, Nuclear Industry- Piping Prefabrication, Chemical Industry- Piping Prefabrication, and Shipping Industry- Piping Prefabrication. 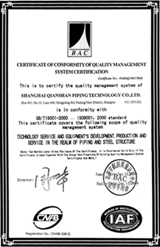 Welcome to Shanghai Qianshan Piping Technology Co., Ltd.